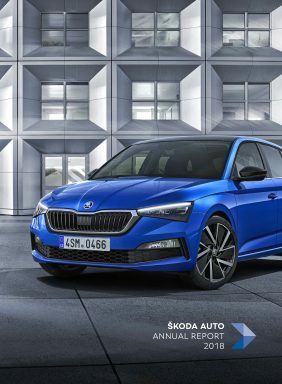 Mladá Boleslav, 18 September 2018 – ŠKODA is continuing to whet appetites for the new ŠKODA KODIAQ RS. Ahead of the car’s official world premiere at the 2018 Paris Motor Show in October, the Czech manufacturer is releasing yet more photographs of its features. The first SUV in the portfolio of ŠKODA RS models impresses not only with its 176 kW (240 PS) diesel engine, but also with its sporty and elegant design, highlights in high-gloss black and 20-inch Xtreme alloy wheels. Find out an additional video with more details about the ŠKODA KODIAQ RS at https://twitter.com/skodaautonews. ŠKODA’s first high-performance SUV brings its dynamic ambitions to the fore with plenty of black accents – its striking radiator grille, its roof rails, window frames and wing mirrors all come in high-gloss black. 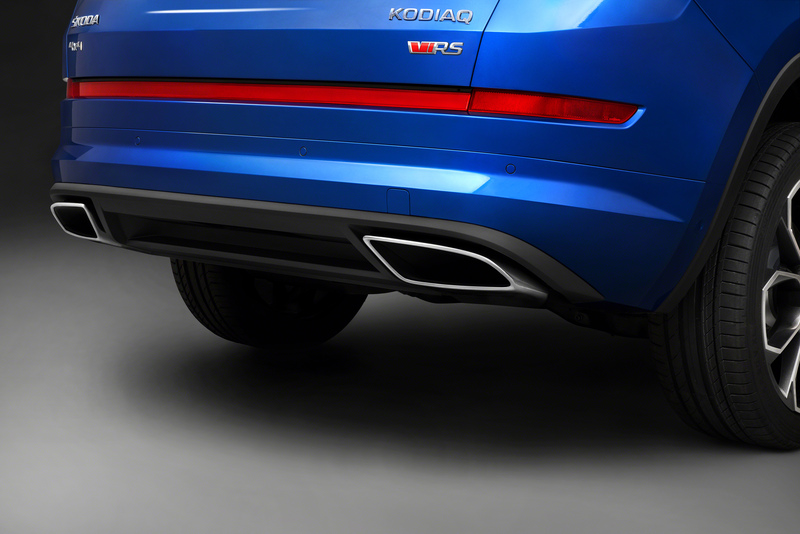 The rear is shaped by two visible tailpipes below the bumper and a reflector that extends across the entire width of the car – the distinguishing feature of all ŠKODA RS models. 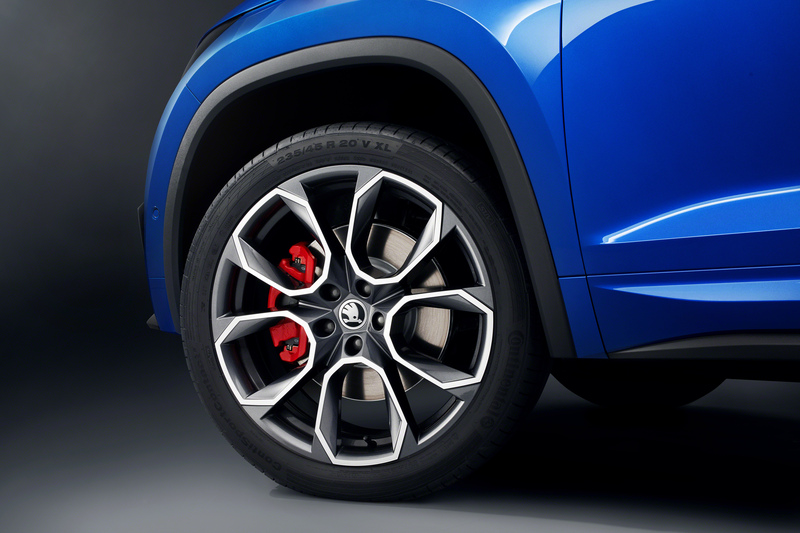 The ŠKODA KODIAQ RS is the first car in ŠKODA history to ride on 20-inch wheels as standard. The red brake callipers sitting on the 17-inch brake discs are clearly visible thanks to the Xtreme alloy wheels. With this combination of sportiness and power, the all-wheel-drive SUV clearly sets itself apart as the most remarkable model in the ŠKODA model range. The new RS logo also makes its debut in the high-performance SUV. A ‘v’ for victory is still in front of these well-known initials, but now it’s in red. The new colour symbolises the sportiness and power of the RS family. The new logo is prominently placed on the ŠKODA KODIAQ RS – on the radiator grille and the rear, for example. 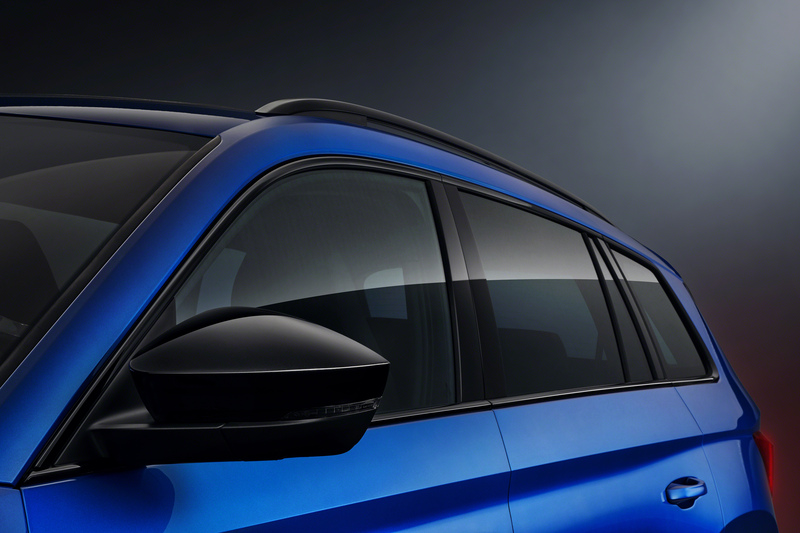 The brand’s first RS SUV will celebrate its world premiere at the 2018 Paris Motor Show in October.